I have been playing with GIMP over the weekend. I had heard horror stories about its user interface that had put me off from installing it. Thankfully I gathered some courage and finally got around doing it this weekend. I was pleasantly surprised with it. Spent about 3 hours playing with a scanned pencil and ink draw that I had done. It took me some time to get my head around the menu, mainly trying to find what I was looking for… but I got there at the end. I was really impressed with how much you could actually do with it. Here is the guinea pig (click on the image to enlarge). So, once I mastered that – I closed the computer! 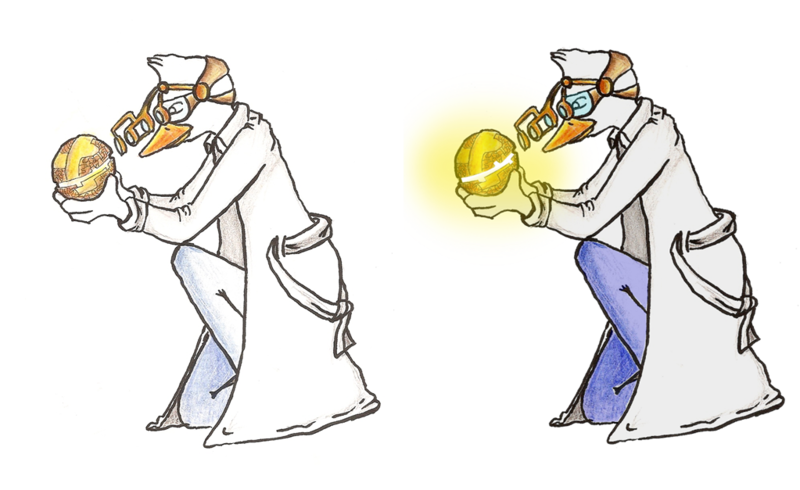 later that weekend I got drawing a new duck. 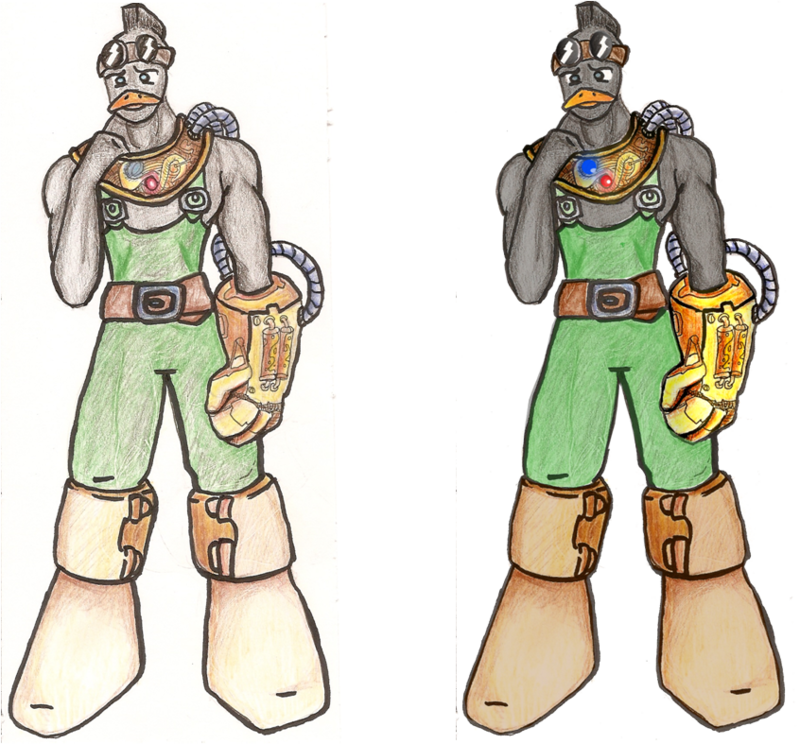 I decided from the outset to add some light effects, that plus the colour enhancements took me under 30 min (including setting up my crappy scanner)… which I though it was pretty good. I should try that! do you have any recommendations?